With the larger-than-life Fortnite reeling in a whopping 3 billion dollars last year, it's clear that there's money to be made making Battle Royale games. This enormous, 9-level course will take you from absolute zero to Battle Royale hero. That is, you'll build a multiplayer game from scratch. 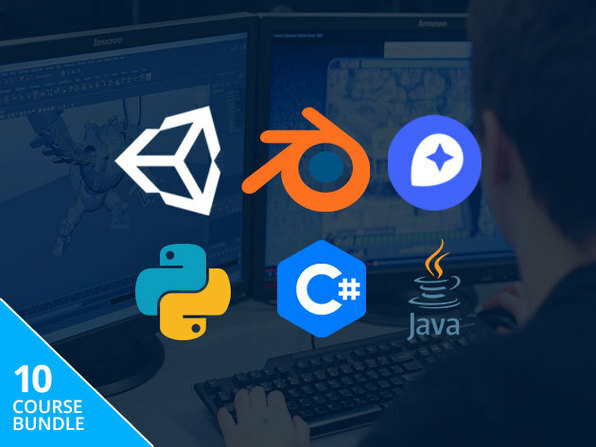 From getting familiar with the game engine Unity to implementing artificial intelligence, this course has you covered from start to finish. Jump in, and you'll walk through designing, coding, 3D modeling, and level design until you have a complete, polished product. John Bura has been programming games since 1997 and teaching since 2002. John is the owner of the game development studio Mammoth Interactive. This company produces XBOX 360, iPhone, iPad, Android, HTML 5, ad-games and more. Mammoth Interactive recently sold a game to Nickelodeon! John has been contracted by many different companies to provide game design, audio, programming, level design, and project management. To this day John has 40 commercial games that he has contributed to. Several of the games he has produced have risen to number 1 in Apple's app store. In his spare time, John likes to play ultimate Frisbee, cycle and work out.